Homepage Shoes	What’s the best storage solution for shoes? One shoe here, another there… Tangled laces, pairs just gathering dust or hidden in the corner under a pile of trainers… so far from view that you forgot they existed. To get your footwear under control, here are some great storage ideas. Set them to work this very week! First option: a 2 or 4 level shoe rack, depending on which model you choose. 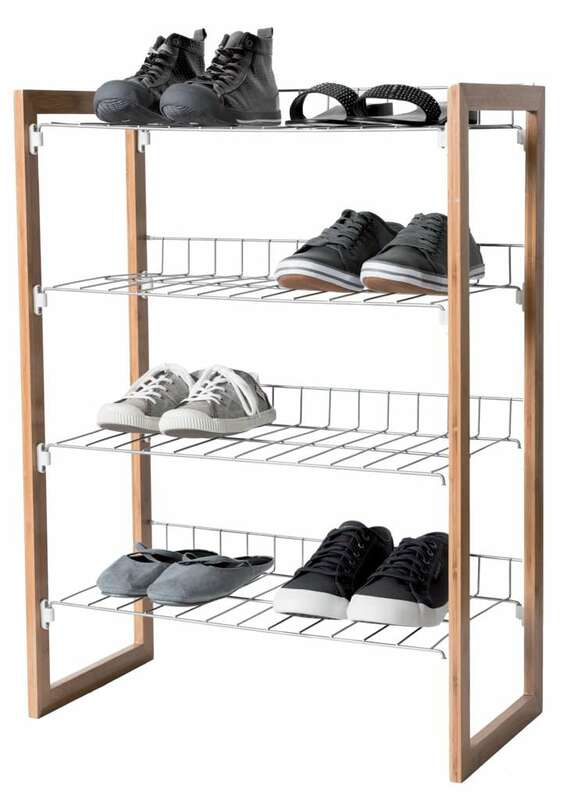 Simple and effective, this shoe rack is ideally positioned at the front door. This allows you to store footwear as soon as you arrive home, to avoid getting dirt all over the floors, carpets or rugs in other rooms. If an item of furniture like this doesn’t cut it, you can opt for a modular, stackable piece, such as the Salomé model. This will let you store up to 24 pairs of shoes. Note: A 2-level model is also available (also stackable). 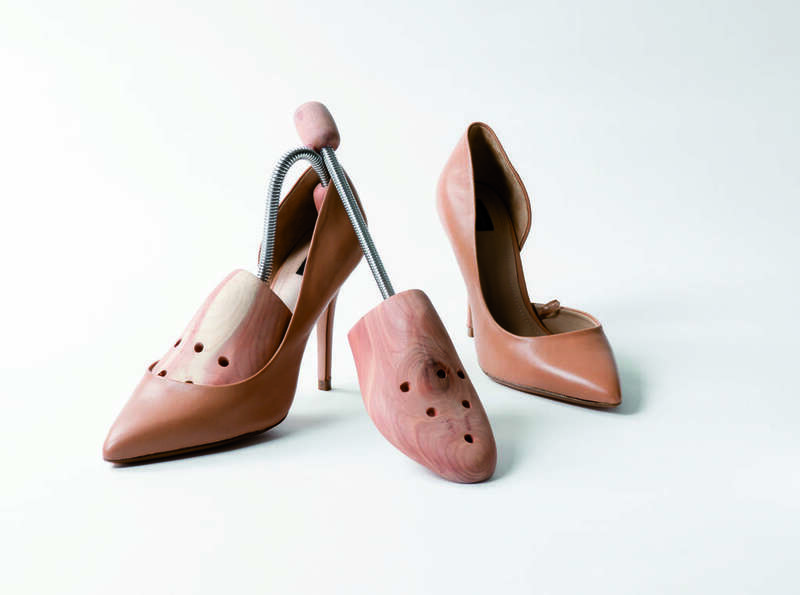 Hanging storage is still trending: it lets you store your shoes vertically. In the wardrobe or in a storage cupboard, this hanging storage unit is an inexpensive, flexible solution. The shelf can be moved from room to room, easily and whenever it takes your fancy. Photo: World of Storage hanging storage. This model can also be used to store t-shirts, underwear, scarves, small towels, etc. Why not use the lower section for shoes and the upper sections for everything else. This practical hanging storage saves time in the morning when you’re getting dressed. If vertical storage doesn’t do it for you, why not choose horizontal storage instead. This bag lets you store up to 12 pairs of shoes. With a plastic coated lid and zip closure, your shoes are protected from dust. The case slides easily under the bed, onto a shelf, or in the wardrobe. Besides being functional, this tote is also decorative: it will look great with wooden furniture and beige colour schemes. 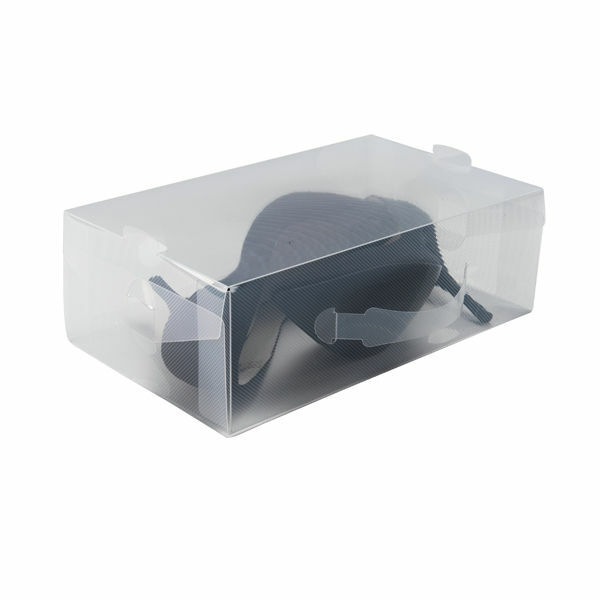 For those of you that have a special fondness for your shoes, use a see-through storage box: made of polypropylene, this box houses a single pair of shoes. Recommended for leather shoes and designer footwear. You then place the box on a shoe rack, in a cabinet or on a hanging shelf. For Moon Boots and winter footwear, try vacuum packing: this lets you save space while protecting your shoes from the damp. To perfect your storage solutions, consider using shoe lasts: these maintain the natural shape of your boots or shoes while in storage. Our recommendation: why not combine two or three of these storage solutions, to create a fantastic storage area that is both stylish and functional at the same time. If you have any innovative storage ideas, share them with us in the comments.